A reward checking account pays a higher interest rate on your balance up to a limit but it requires you to perform certain activities, such as using the debit card a minimum number of times in a month. I had a reward checking account with a credit union some time ago. I closed it after the credit union changed the terms. After a break, I’m back at it, because I’m still buying lunch at work every day, and I want to get credit for doing what I already do. This time I chose the reward checking account offered by Lake Michigan Credit Union (LMCU). It pays 3% interest on up to $15,000 for having direct deposit, e-statement, 10 debit card transactions, and logging in 4 times to online banking every month. I had thought logging in 4 times a month would be too much trouble to remember, but I learned Mint.com would take care of it. Opening the account was easy. Setting up direct deposit was easy, although the account number to use is labeled cryptically as the MICR Line, which refers to the magnetic ink used to print the numbers at the bottom of checks, which I didn’t order. A nice feature of this reward checking account is a running summary of your progress toward meeting the requirements for 3% APY this month. When I tested using the debit card for a small online purchase, I noticed it didn’t count toward the debit card usage requirement. That was because the merchant ran it as PINless debit through a debit network. 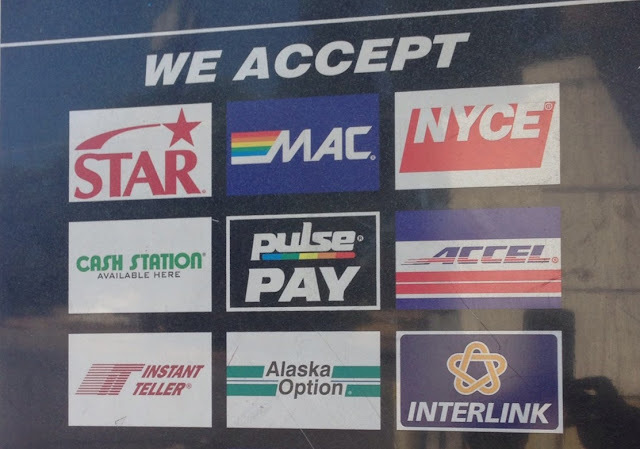 Besides the well known payment networks such as MasterCard and Visa, there are also a bunch of less known debit networks such as Star, NYCE, Pulse, and Accel. Running payments on a debit network costs less. That’s why the merchant chose to go that route as opposed to running it through MasterCard. Lower cost to one party means lower revenue to another party. LMCU doesn’t count PINless debits toward debit card usage for earning a higher interest because LMCU earns less revenue on PINless debits. I don’t blame LMCU as much as I blame the merchant for this situation. Most customers don’t mind which route the debits go. Those who do should get a choice. If the merchant offers a choice, most people will go with the default anyway. It’s not worth the tiny cost savings for the merchant to alienate the small percentage of customers who care about the difference. Amazon also runs debit card sales as PINless debit, but it offers an opt-out. That’s much smarter. Is there a minimum amount of debit card purchase? Any easy way to automate the Amazon debit purchases? I don’t know. I’m just using it for lunch every day in the spirit of how the account is intended to be used. I never cared about hard pull, soft pull or no pull. My credit score is still good (FICO Experian 804). So far so good. If there is a hard pull then it is a deal breaker. With this account you get max $450 in interest (taxable) after jumping through hoops in year 1. Yeah, I got a hard pull too (they pulled TU for me and my wife, if anyone is curious). Might want to take a look at Consumers Credit Union. Higher interest, higher limit. Have to put 12 transactions on the debit card and 12 on the credit card though. 1) Just buy $0.50 Amazon gift cards 10 times a month. It can be done in 5 minutes, and they you don’t have to stress out about small purchases (lunches, gum, etc) all through the month. 2) If you already have an Amex Serve card (it’s a prepaid debit card), it allows you to “load” money from your LMCU card to the Amex Serve card, and it counts as a 10 debits. This is the option I use. So I put the 15,000 in my LMCU card to maximize the 3% checking rate. When I get my dividend payout (usually $35-40 per month), I “load” that money to my Serve card by just dividing that amount by 10. So if my balance is 15,035 after my interest is added at the beginning of the month, I spend 5 minutes to make 10 loads of ~3.50 (I change the cent amount so it’s easier for me to count my transactions – like 3.20, 3.21, X 10). Then I didn’t really spend my money. I already use Serve to pay bills to get credit card rewards (things like rent and student loans that normally don’t accept CC payments). This method isn’t for everyone, but if you already use Serve or want to take advantage of CC rewards for bills, it’s an easy way to combine a few quick $$ methods.